Where Is Semiotics When You Need It Most? Annotated Bibliography: anticipatory systems/anticipation (Part 1). Annotated Bibliography: anticipatory systems/anticipation (Part 2). in Risk and Decision Analysis (M. Nadin, Ed. ), 1 (2009) Amsterdam: IOS Press, pp. 113-139. How can anticipation inform creative leadership? The need for a new perspective. Is a Bionic Goalkeeper Possible? 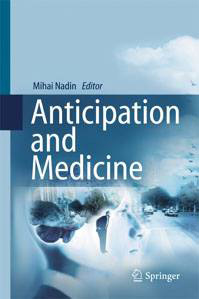 Anticipation and Intuition (published in German), Mensch und Planung (Humans and Planning). Essen, Germany:PKK, 2006, pp 6-21. Signs and Systems. A semiotic introduction to Systems Design, Cambridge: University Press, Summer/1997. Pragmatik, Vol. IV, Philosophy of language, linguistic pragmatics, and formative pragmatics (Prof. Dr. phil. habil. Herbert Stachowiak, Ed.). Hamburg: Felix Meiner Verlag, 1993, pp. 219-250.